How much “pleasure” time do you spend with your horses, or is it all training/work? I often say this to get people thinking about the idea in general. Let me try to clear it up a bit for you. What he is saying is that your ‘awareness’ that there is, or could be, an issue…will prevent the issue from happening. Many people don’t ever consider that they could even make a ‘withdrawal’ from a horses training. However, most people with experience know that it is very possible to ‘untrain’ or retrain a horse in a negative way. But…. …as soon as you know this you are now aware. As soon as you are aware the chance of going too far or ‘going bankrupt’ with your horse is greatly reduced. 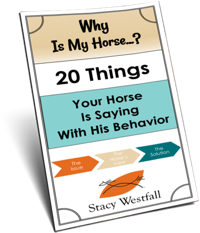 Let’s say that when I train my horse I am adding a value of $20.00 per day when I ‘train’ a horse in an arena toward the goal of showing the horse for the owner (who is paying me to train). 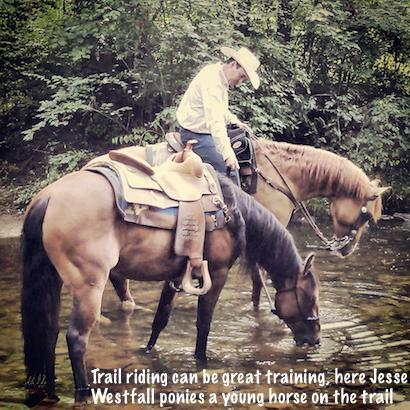 If I take the horse trail riding maybe I am adding a value of $5.00 to that reining horse….but if the horse were in training to become a ‘trail’ horse the value might be $20.00. Either way I am likely adding value. Now lets pretend that I take that horse and decide to give a riding lesson on him. The owner probably wouldn’t be very happy with me because when I put a green rider on the horse there is a good chance they will make mistakes or miss opportunities to correct the horse’s mistakes. This could be a ‘withdrawal’ of $5.00 to $20.00. 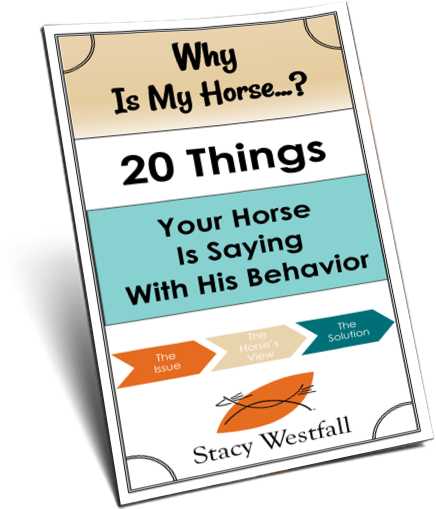 Now, remember that most of this is said just to get you THINKING about the idea that you are always causing some kind of change in your relationship with your horse. It really isn’t that different than human relationships. Lets pretend you are married and on your 10th wedding anniversary you take your wife out to dinner. If you check facebook every 15 minutes, answer your phone before dessert and then send a couple of texts…I can bet that your intended ‘deposit’ into your marriage just became a withdrawal, lol. Again, as soon as you are aware that this is an issue…the issue is mostly gone. I put the concept out there to get people to think about horses having a relationship with us as opposed to them being more like a motorcycle that you can put away and pull out after a few months later without much change. Once it is possible to view all situations as learning and relationship building it become possible to make ‘deposits’ in almost all situations. What a great question! Training should be a pleasure, but I do not head to the barn just for a pleasure ride nearly as often as I wish. Perhaps it is time to rethink the reasons I have horses! Thanks for some good food for thought…..
uh this might be weird to many folks….and I am sorry… lol… ok I aint sorry…….. but I just love to hear horses eat……. the sound of munching grain/hay is so cool to me…… is that considered pleasure time?? LOL….. it is to me!!! Awesome description! I walk 15 minutes down the road to a neighbours arena to ride/play/school my horse, and he loves the days I take his bridle off (leaving halter on!) for the wander home, munching the best bits of grass on the roadside. Great hang out time and a nice reward for a good job done! Luv my horse so. Haven’t rode in 3 or so yrs. heartbreaking. I have lower back issues. Never gunna give up. Her barn buddie passed recently. I slept all night on lounge chair outside with her. Her whinnies broke my heart calling for him. We use to camp with them. FANTASTIC. Now I know we both need each other more than u can say. We will get each other thru this. She is a beautiful palomino called Katie. My 1st horse at 40. Now 52. I will never give up praying and hoping one day we will be back on that trail together. I am new to face book and yr website. Thanku. hi stacy can one order it from south africa or must you be oversea?here’s a horse i wish to start backing and training but would like some tips on hoe to do it while i’m still going to school and doing sports in the afternoon and still riding my own two horses?i struggle to balance school sport and horseriding and when it’s test and exams.right know i do not ride through the wweek and weekends it is studing homework and sport games and still i can not be with my own horses.how and what can i do to keep my bond with both my horses strong and keep them fit please help .thank you I would really like advice..i did showing with my OTTB and the judge told me that he didn’t place her once because she throws her head to much and she should rather bend her head like an boerperd.what can i do about that?? ?there’s a lot of quistions i want to ask bit these is the most important to me and m horses……. Stacy, thank you (as usual) for great insight on a really important topic. This issue is very close to my heart – several years ago my horse had a terrible illness that almost killed him and left him with a huge open wound that took the better part of a year to heal. During that time, we spent a lot of time doing trick-training on small things (nodding yes and no, “shake a paw”, “fetch” with objects, etc) because he could not use his body the way he usually does. We also spent a lot of time just simply being together – eating, walking around gently, playing with toys, or just “talking” – even napping together! I think this time has been some of the MOST valuable time I have ever spent with him, and it has made every other piece of training we do together more effective. No matter what else is going on, I feel like the most important thing I want to “train” my horse to know is that being with me is going to be a good experience, and that I love him with all my heart, no matter WHAT we’re doing. So I make time every day for some “down time” together – sometimes it’s before or after “real” training, and some days it’s all we do – but I always make time for it. In return, I have a great partner who tries hard for me and listens to me, and when we have a conflict we can usually work it out because we know how to listen to each other way better than when all we did was “train” (in the strict sense). He does not like to be in the trail very much – he prefers familiar surroundings – so trail riding doesn’t really represent “down time” to him. I try to respect that and find things that are truly relaxing TO HIM for us to do together.